How to travel and work in Europe? 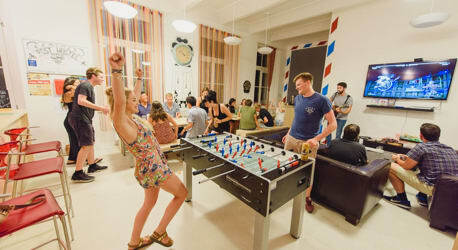 There are thousands of work exchange opportunities in hostels, inns and homestays throughout Europe. You can exchange work for accommodation in these places and have a one of a kind experience immersed in the local culture. Because you get accommodation and other benefits as part of the exchange, you can use the money saved to extend your trip to other countries in Europe. As a safe and touristic region, European countries are some of the top recommended places to go for first time travelers. It’s pretty common for travelers to go from one end of the continent to the other, swapping skills for accommodation in several different countries. In addition to being able to work abroad, they use these experiences as opportunities to learn about the local cultures and practice English.